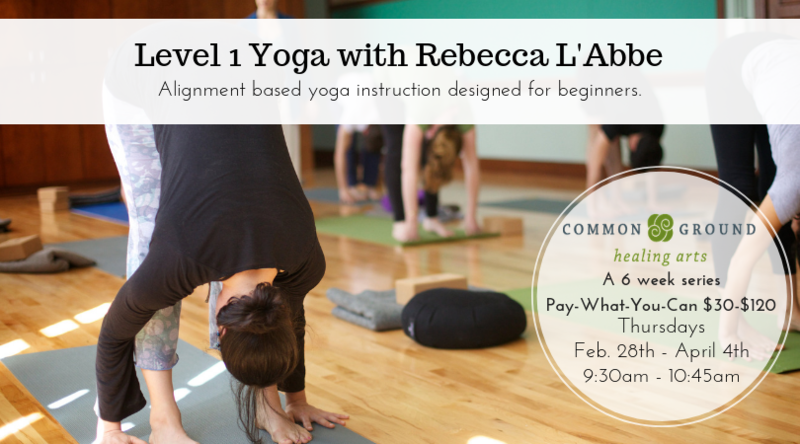 Click here to sign-up for Level 1 Yoga! Alignment based yoga instruction designed for beginners and experienced students who prefer a moderately paced class. Unlike vinyasa style classes, we move slowly through standing and seated poses. No previous experience required. This course will be offered on Thursdays, 9:30am – 10:45am from February 28th – April 4th.